20 Pound Weight Loss and a Boost of Confidence! Home/Success Stories/20 Pound Weight Loss and a Boost of Confidence! 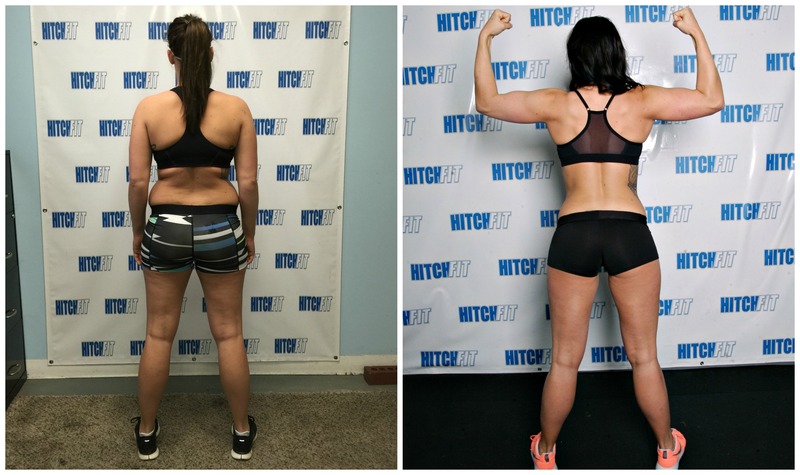 20 Pound Weight Loss and a Boost of Confidence for Registered Nurse and Hitch Fit Client! I am a 25 year old registered nurse in the Pediatric Intensive Care Unit at Children’s Mercy. I have been uncomfortable with my body for as long as I can remember. In high school I was a competitive cheerleader and I was never as thin as my teammates. Then through college I developed the quick and easy diet: cereal, bagels and cream cheese, and snack foods. I moved to the Kansas City area in 2014 after I graduated from nursing school and started my first RN job on night shift. Working night shift was the start of sporadic sleep patterns and worsening eating habits. Through all of these experiences, cheerleading, college, and my new career adventure I attempted EVERY crash diet in existence. From weight watchers to the 21 day fix and countless home exercise programs, I was never able to stick with a program long enough to make a change in my lifestyle. Last year was a wake-up call for me for multiple reasons. First was when I went home to Idaho to visit family and friends for summer and was uncomfortable wearing a swimsuit around the people closest to me. I was so excited to hang out at the lake but dreaded every second of people seeing me in a swimsuit. Next was a conversation that I had with a co-worker at work one night. She pointed out her reason for the weight loss journey she was on and it really hit home: “I am 25 years old and I should be in my prime right now”. Those words resonated with me and I decided in December that I needed to make a serious life change. 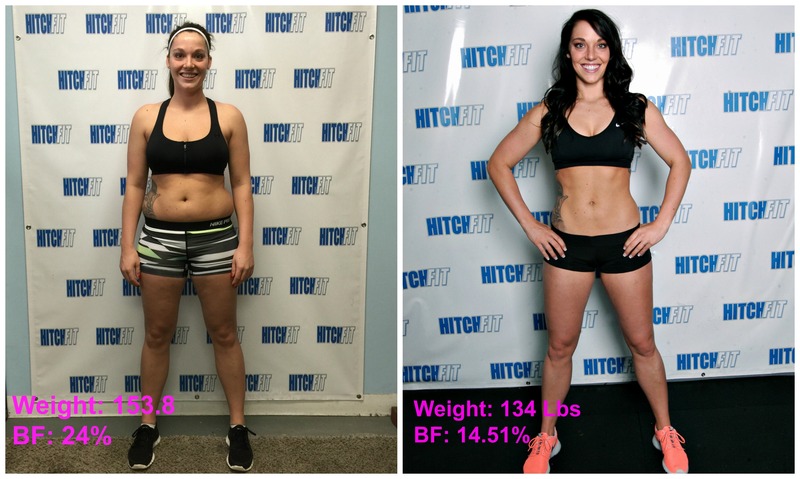 I contacted Ellie at Hitch Fit and after the New Year we took on my fitness quest together!